5 reasons why this acquisitive industrial ASX mid-cap will continue to re-rate. This company has been flying since joining the ASX boards in March 2015, with its shares having gained 200%. Is it time to jump out of the Skydive the Beach (ASX:SKB) plane? We certainly think not. 1. 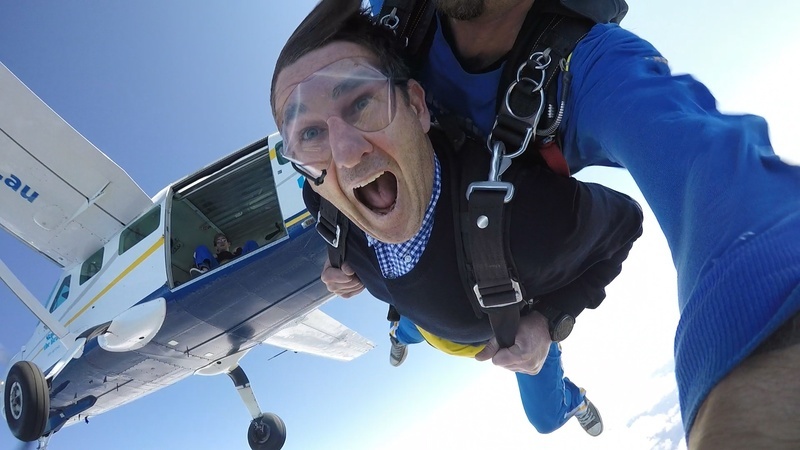 Organic growth remains - thanks to the growing influence of social media and the propensity for customers to 'share' their experiences online, adventuring tourism players such as Skydive are thriving. Excluding new acquisitions, SKB is experiencing 12% organic revenue growth which is helping drive their outstanding earnings growth of over 35%. 2. Acquisition opportunities aplenty - this week SKB announced the $15m acquisition of Great Barrier Reef tourism operator Reef Magic Cruises. This is the fourth acquisition SKB has made since listing. Given the fragmentation of the adventure tourism industry (both here and offshore) there are a myriad of targets remaining. 3. Financial leverage - SKB has been acquiring private businesses at around half the price (price to earnings) at which the public company trades. Doing so enables the return to shareholder to increase, even ignoring the significant synergies that can be obtained through the acquired businesses. 4. Balance sheet capacity - Reef Magic was fully debt funded (generating a greater return to equity holders) and SKB retains a considerable banking facility to fund further opportunities. With the enviable choice of tapping either the equity or debt market (as SKB has done both in the past) ensures any new acquisitions will be made in the best interests of equity holders. 5. Proven management - SKB's management team has delivered double-digit EPS growth every year since listing. And despite the recent impact of Hurricane Debbie in Qld and northern NSW, SKB has again upgraded its FY17 earnings post the Reef Magic acquisition. As the now leading tourism operator in Australia and boasting an increasingly relevant market capitalisation above $250m, this stock may not quite be 'going to the moon' but the trajectory still appears to be truly skywards. Got down safely thanks Alex...! Quite a view from above Wollongong that day.